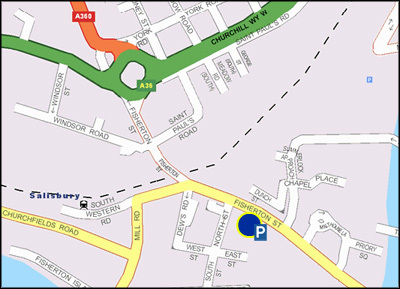 Below is a map showing the positioning of our shop , we have also marked out the position of our Car Park. Please note: We only have very limited car parking, which is only for our customers for the duration of their stay in our store. The car park does have clamping in action, however our customers are permitted to use it WHILE inside our store.